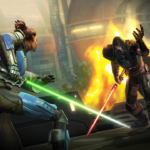 Revan is one of the characters most often requested by players, so this was definitely an exciting but also serious challenge for the team. 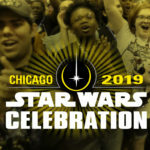 The most important thing about developing Jedi Knight Revan is to make a character that lives up to the idea of who the character was to fans of KotOR. As KotOR enthusiasts know, in the classic game, players could make decisions over the course of KotOR that resulted in their version of Revan becoming a Jedi Knight. How do we capture that feeling? 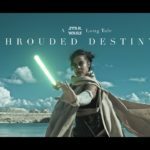 How do we make something that lives up to that idea? 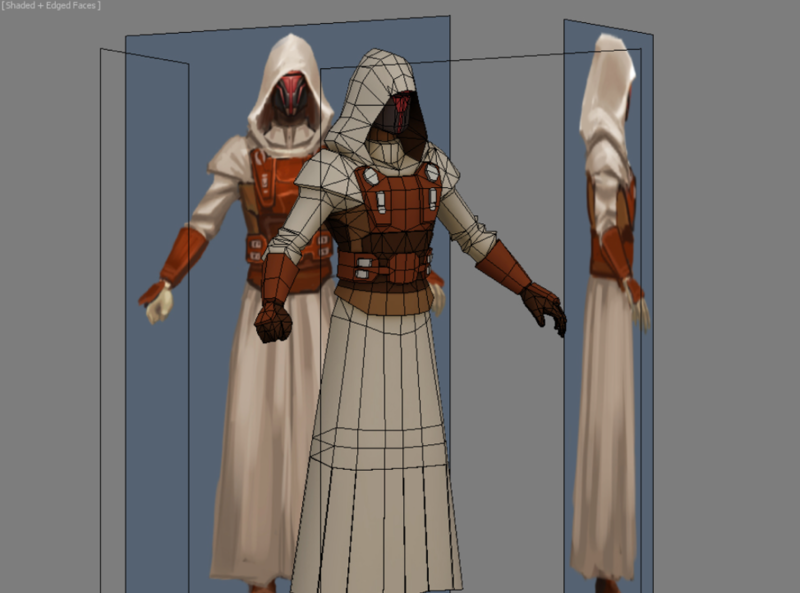 And that was what helped us set up the design vision for Jedi Knight Revan. DS: Star Wars: Knights of the Old Republic released 15 years ago in 2003. Unfortunately, though, so much of the original reference material from BioWare wasn’t available. Our approach was to rely heavily on the lore from the game. 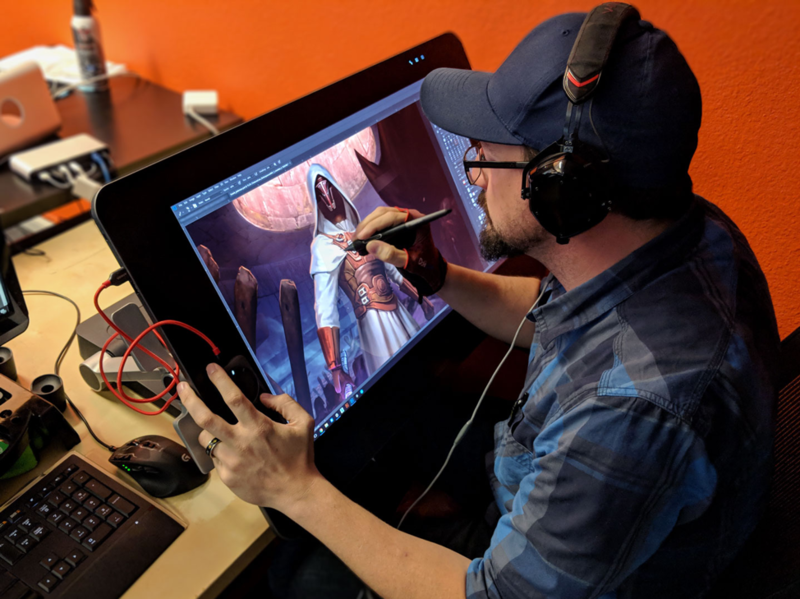 We have many passionate KotOR experts on the team, with some having played through the game multiple times in preparation for creating this character. 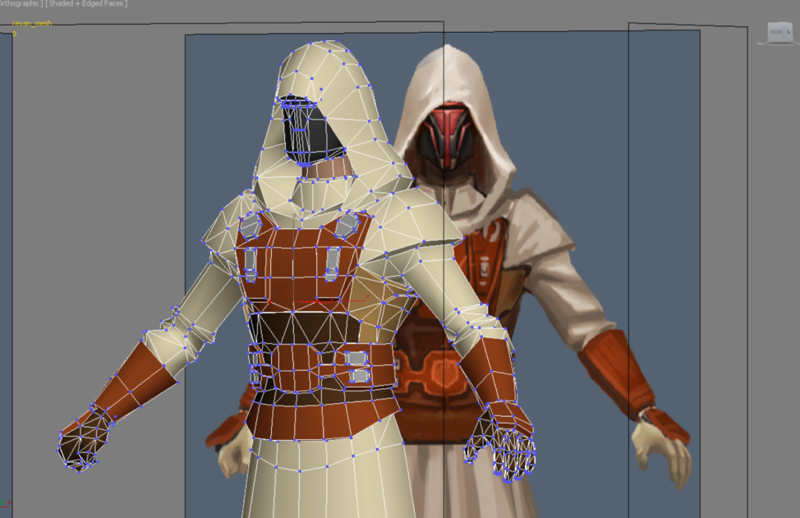 One of the toughest things about designing Revan is that there’s no “correct” way Revan looks. 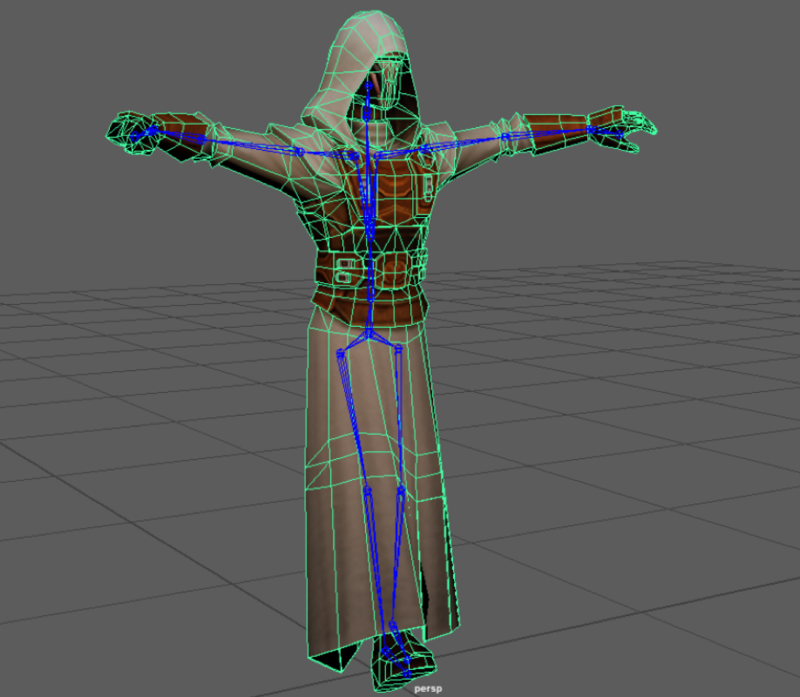 We wanted to respect the players’ individual choices on their own playthroughs while still making Revan clearly recognizable. 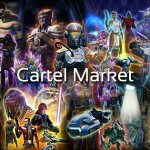 To do this, we needed to showcase a masked version of Revan which is not only incredibly cool, but also completely unique to Revan. 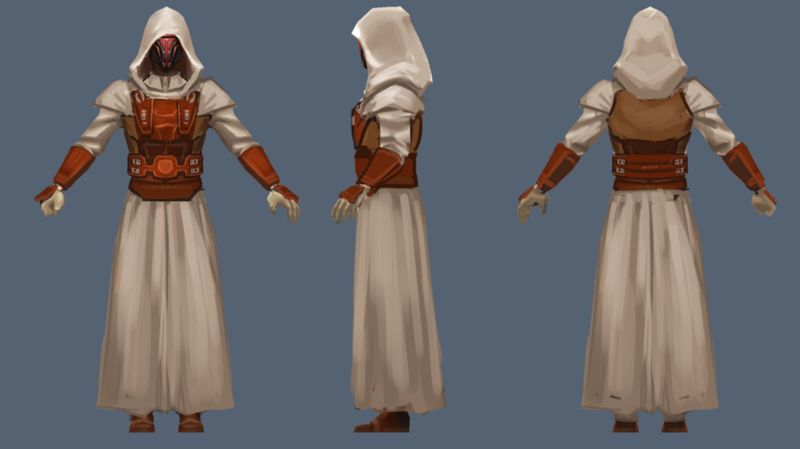 We also needed an outfit that made sense for a light side version of Revan. 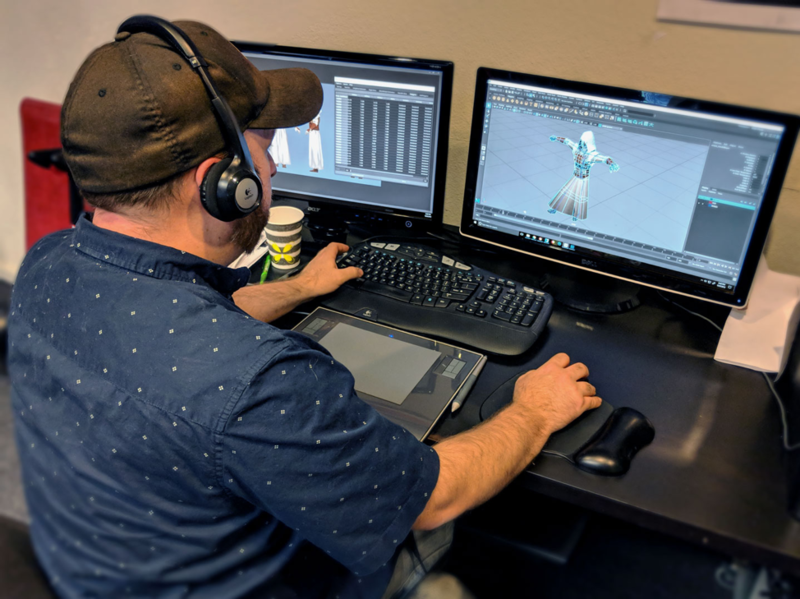 After reviewing many of the outfit choices in the game and discussing options with our friends at Lucasfilm, we decided on the Star Forge Robes as a base. 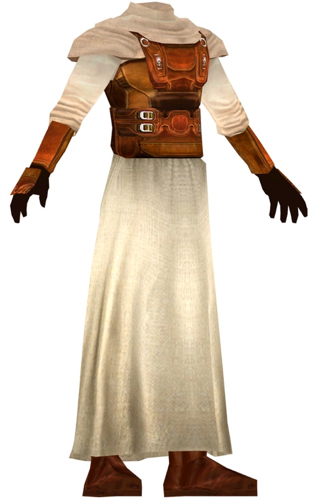 This outfit is acquired in game only if the player successfully completes the game as a light side Jedi – so it narratively fit our needs as well. 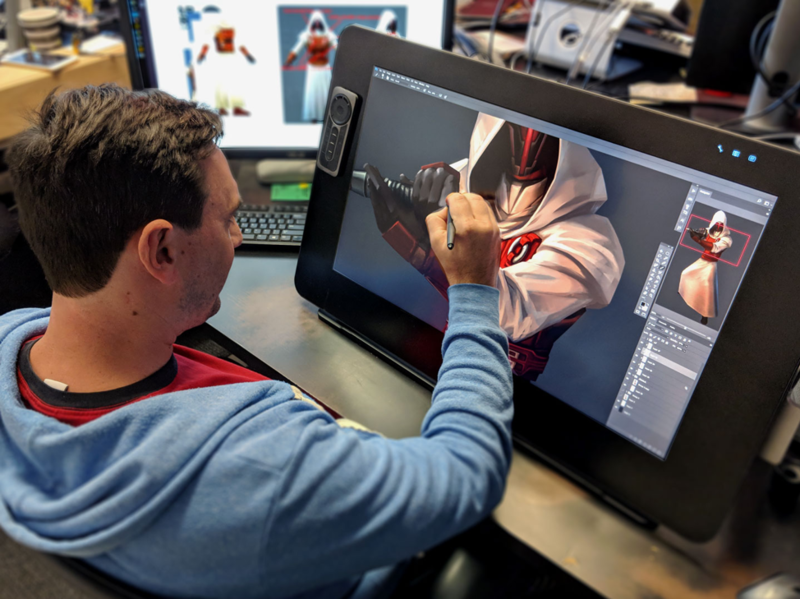 It also conveniently has a hood that we decided to raise to add to the “cool factor” and to bring light side Revan more in line with how we’ve seen Revan later on as Darth Revan in Star Wars™: The Old Republic. 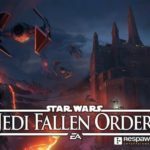 RY: We wanted this version of Jedi Revan to be a symbol of the characters’ light side self, much in the same way that the reward from the Star Forge is dependent on your light side and dark side choices in KotOR. RY: We chose to use the mask and hood for a few reasons. 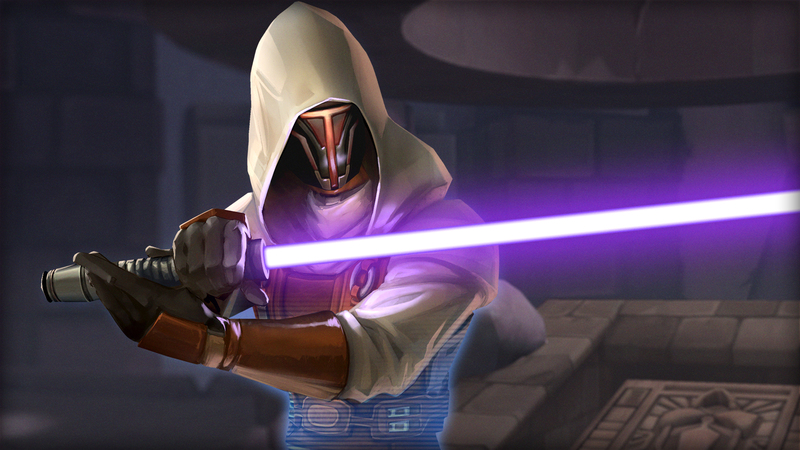 We didn’t want to give Revan a specific face because we felt it was more genuine to the KotOR experience where Revan’s look was determined by the player. 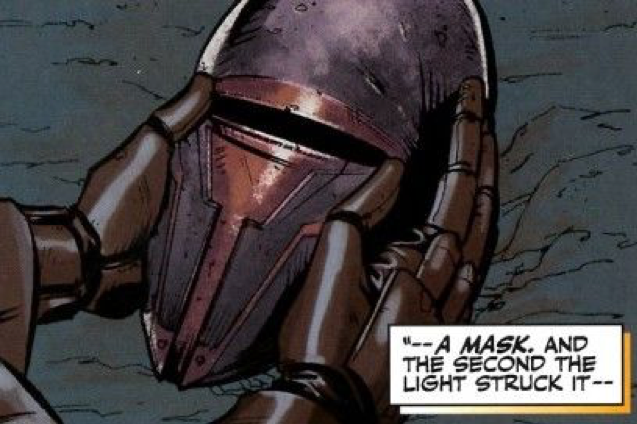 Working within the limitations of our current system, we thought the truest way to reflect this choice would be to give Revan the iconic mask and hood and modify the Star Forge robes to accommodate it – leaving the mystery of Revan’s identity intact, but still capturing the essence of who the character is. 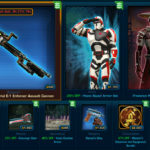 JG: We strive to keep the player’s memories of their experience in KotOR intact as we design new locations for SWGOH. Our goal is to update them and keep some of the elements that made them so memorable to begin with. 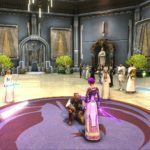 With these particular environments for the Revan event – Korriban and Taris – we worked especially hard to give them the right mood and convey the eeriness of these areas. 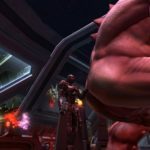 JG: The way we expanded on the KOTOR environments was to take some of the essential Sith architecture from the past games and update them to feel more unified with the current Sith architecture you might see in shows like Star Wars: The Clone Wars and Star War: Rebels. After updating the prop model and textures, we do a much more in-depth lighting pass to guide the players eye to points of interest. 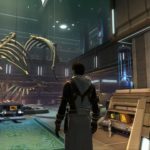 JG: We are fully aware of the model and texture limitations Bioware/Obsidian had to deal with when making KotOR – and we similarly have our own set of restrictions and limitations as well when making SWGOH – but our goal is to make these environments as amazing as possible, without distracting from the characters and battle.